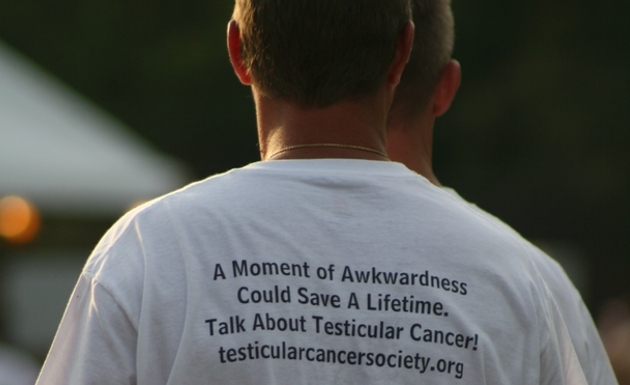 Donate to the Testicular Cancer Society Testicular Cancer Society | We Could Really Use Your Support. We Could Really Use Your Support. Help us reduce the burden of testicular cancer by making a donation. Your generosity will help us raise awareness and provide the support needed to pave the road for future fighters, survivors & caregivers. Want to Stay Updated? Join Our Email List. We promise to not blow up your inbox! Donate 100% - Add 3% so that 100% of the donation goes to Testicular Cancer Society. Testicular Cancer Society has partnered with Network for Good to securely process your online credit card payment via Network for Good (tax ID 68-0480736). This transaction will appear on your credit card statement as "Network for Good." This transaction is subject to Network for Good’s Privacy, Security & Disclosure Statement and the Charitable Solicitation Disclosure.